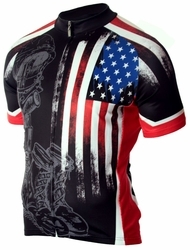 Wyoming Cowboys MTB Bike Long Sleeve Jersey with Free Shipping. FREE SHIPPING FOR ALL US ORDERS! 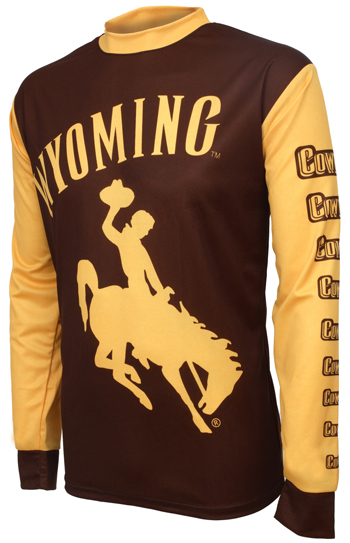 This great Wyoming Cowboys College long sleeve mountain bike jersey is great for both a ride or a tailgate. They have sublimated graphics and ventilated side panels. The moisture wicking Dry-Sport material pulls sweat from the body for rapid evaporation. Dri-fit is also 4-way stretch and UV rated to 30 SPF. This technical garment provides reduced weight for increased comfort. Jerseys will not shrink or fade.